There are all kinds of folding knives on the market these days. Whatever purpose you may want to use one for, chances are there is a folding model available, optimized for just that purpose. Cold Steel is a company that takes this philosophy to extremes. They have even created a model designed for Law Enforcement use, called the American Lawman, which is the subject of this review. Almost every culture from the Iron Age onward had some sort of folding knife. Since then, there have been many improvements in the steel and lock mechanisms, so that in modern times, some folders are almost as strong and tough as some sheath knives. In the mid 1980s, some custom knife-makers like Ernest Emerson, Ken Onion and Bob Terzoula began designing folding knives for use by military and law enforcement personnel. Bob Terzoula called his blades “Tactical Folders,” and the term has become synonymous for a particular style of folding knife. These knives are usually Liner Locks, or Lock Backs, with a blade of around 3 to 4 inches in length, capable of one-handed opening, and very secure grips. And now, please take a quick moment to view our interactive table below to see how the Cold Steel American Lawman compares to other great Cold Steel knives. One may wonder why a Law Enforcement Officer would want a folding knife when the law allows them to carry pretty much anything they want. Surely, something like a Kabar Marine Knife would be much better, right? First off, an LEO (Law Enforcement Officer) has little need for another weapon. They already have their Duty Belts full with a pistol, extra ammo, handcuffs, a radio, a large flashlight, TASER and/or Chemical Spray, notebook, etc. A sheath knife would just be something else on their belt to get hung up or snagged when getting in and out of the Patrol Cruiser. But, an LEO would probably need a knife to cut cloth into strips for First-Aid, cut leather, maybe a car hose, rope, a seat belt, etc. 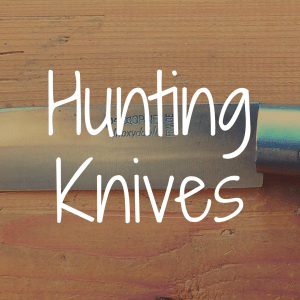 Law Enforcement Knives need to be handy and readily accessible without getting in the way. And they have to be able to be held securely in the hand while wearing gloves, with cold wet hands, and in several grip styles. Tactical Folders fit this need nicely. The 3-1/2” to 4” blade is the perfect size for most tasks. 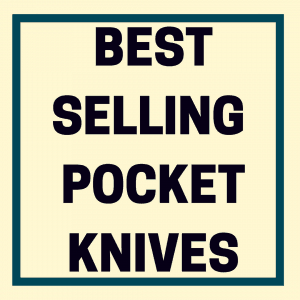 A large pocket knife is uncomfortable to carry, and is overkill for most jobs. The American Lawman is a good compromise. The heart of any knife is its blade. Carpenter CTS-HXP is similar to 440C and D2, but with a higher carbon and chromium content, and the addition of vanadium. This makes an extremely tough blade, even more than AUS 8, with a superior edge-holding ability. While it holds an edge extremely well, it still sharpens well on most stones. The thumb-stud is reversible and allows the knife to be opened in the blink of an eye with one quick flick of the thumb. I actually prefer the Drop Point blade over Clip Points. The Drop Point is better at a lot of tasks than a Clip Point. The American Lawman uses the Tri-Ad lock, which many regard as the strongest lock mechanism in the industry. I disagree with this only because in my own side-by-side tests, the Ram-Safe lock (only available on Cold Steel’s Pocket Bushman) beat the Tri-Ad lock by 45 pounds, failing at 395 pounds, to the Tri-Ad’s 350 pounds. Will an LEO ever put 350 pounds weight on their knife blade? Probably not, so the Tri-Ad lock is more than enough for anything you are likely to do with it. The Pocket Clip is easily reversible for left or right-side use. The clip allows the knife to ride low, so it is 95% or more concealed in the pocket or waistband. The clip grips very snugly and it is unlikely to come out when drawing the knife. The scales are big, tough G-10, which is almost indestructible. It fills your hand with confidence, and is shaped to accommodate just about any grip. It is comfortable when wearing gloves, and does not slip or spin in the hand, even when wet. The knife can be easily disassembled with T-6 and T-1 Torex wrenches. (Note- If you don’t regularly disassemble your folders for complete cleaning, lubrication, and inspection, you need to start. Oil, moisture, and gunk can build up between washers and other parts, causing wear and ultimately, failure. You also need to check the parts for wear, and damage, and replace them when necessary. I field strip all my folders at least 3 times a year.). The American Lawman also comes in a mini version with a 2-1/2” blade, for those needing a tiny knife. I have used my American Lawman to shave wood, cut 1-1/2 hemp rope, 5 layers of cardboard, cut through a rack of pork ribs and 1 whole chicken with one swipe, batoned it through 2” thick tree branches, and even thrown it into a wood target 20 times (and it stuck…most of the time), with no effects other than a little scratching. I dressed out several squirrels and a goat with it, and it performed great for the type of blade that it is. If I had any complaints about this knife, it would be the ridiculous black coating on the blade. An LEO, or any civilian, or even military person, is unlikely to ever use a 3-1/2” folder to stalk a sentry in the middle of the night, so a non-glare finish is really kind of silly. 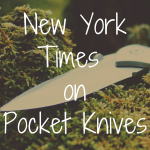 The knife will be folded in a pocket, or waistband for most of the time. But this is a minor issue, and easily fixed with some enamel stripper. Without the coating, the blade operates much smoother. The best coating for a knife is a thin layer of mineral oil. Comparing the American Lawman to other popular knives in the Tactical Folder category is enlightening. 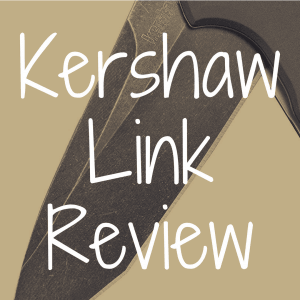 For this review, I used the Spyderco Endura, Cold Steel Recon 1, and the Cold Steel Code 4 for comparison. Spyderco Endura: The Endura is lighter than the American Lawman, weighing only 3.6 oz. The blade is slightly longer at 3-3/4”, but much slimmer, thinner, and more delicate. The steel is standard VG-10—not bad but nothing to write home about. The scales are something called FRN, and are much slimmer than the G-10 on the Lawman. I tested the negative stress on the lock by whacking the spines of both the Lawman, and the Endura against a hard oak table (wearing a metal mesh glove, of course.) I quit on the Lawman after 20 whacks because my arm got tired. There was no noticeable difference in the lock, no blade-play either laterally or up and down. The Endura lock failed completely after 6 whacks. I had already tested the Lawman Tri-Ad lock, which failed at 350 pounds. The Endura failed at a mere 180 pounds. In cutting tests, the Lawman was absolutely superior in slicing and cutting power, most likely due to the hollow-ground blade, as opposed to the Endura’s Saber-Grind. Cold Steel Code 4: This one is hard, because both knives have the same lock, same blade material, and the same blade size. There was no reason to test the lock failures against each other. The Code 4 is very slightly lighter at 4.3 oz., but this is not really noticeable. The folded lengths are about the same. The differences are that the Code 4 has aluminum scales, and comes in Clip Point, Spear Point and Tanto blade models, in both plain and serrated versions. Some people like aluminum handles. I don’t. The G-10 scales on the Lawman feel like your hand is locked-in. The aluminum scales on the Code 4 did not feel as good, or secure. Score 1 point for the Lawman. On the other hand, the Code 4 comes in several blade styles. Score 1 for the Code 4. Both knives are equally tough, and sharp. This one is a draw. It’s like trying to compare two fantastic super-heroes. Regardless of whether you go with Batman or Superman, you’re still supporting a champion. Cold Steel Recon 1: This is another hard comparison. Same blade material, same scale material, basically the same scale design, and same Tri-Ad lock. So again, the only way to rate them is by their differences. The Recon 1 is a little heavier at 5.3 oz.—again, not really noticeable in your pocket. However, the Recon 1 has a larger 4” blade, which scores a big 2 points. he Recon 1 also comes in Tanto, Clip Point, and Spear Point models, in serrated, half-serrated, and plain blade versions. Score another point. The Recon also comes in Micro, Mini, and Extra Large sizes. Score 1, again. I have to give this one to the Recon 1, for versatility. As far as Tactical Folding Knives go, the American Lawman rates towards the top of the list. It is light, tough, and dependable. And the price is reasonable for what it is. The 3-1/2” Spear Point blade is great for most tasks, and this knife is well suited for EDC. I can’t imagine that anyone would be disappointed in getting one of these blades. 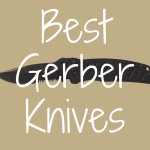 Although I am fond of Cold Steel knives, and the company itself, it is not my intention to give the impression that Cold Steel knives are the “best” knives for any particular purpose. “Best” is a relative term. 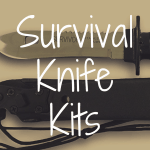 I have many knives from other manufacturers, and everyone does not need a tank-of-a-pocket knife. 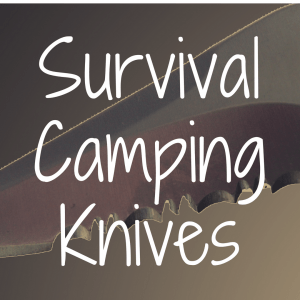 Most people will never have to use a knife in the extreme conditions that others have and do. Many people do not want, or need, to spend $100.00+ on a pocket knife that you can run over with an Abrams tank, wipe if off, and immediately field-dress a Tyrannosaurus with. A lot of people are served perfectly well with a simple Opinel, or common Case, Old Timer, Uncle Henry, or Schrade slip-joint knife. That’s why some of us drive Pick-Up trucks, and others drive a Geo Prizm. Ultimately, the only one that can judge which knife is “best” is you. But, if you find yourself feeling in need of a blade of the quality of the Lawman, well, you can’t exactly go too wrong with this particular knife. For more reviews similar to this, please bookmark Reliable Knife. Please also “like us” on our new Facebook page.